31-W Insulation is one of the top companies you can choose for professional insulation services in Tuscaloosa and the surrounding communities in Alabama. Since 1972, we have been providing home improvement services throughout the southeastern United States and have earned a reputation of excellence for our top-end insulation products and professional installation services. In fact, we’ve earned an A+ rating with the Better Business Bureau for our commitment to our customers. 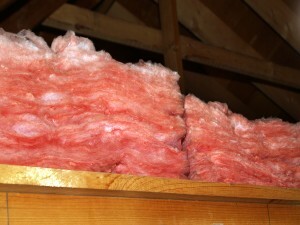 When you choose 31-W to insulate your home, you’ll enjoy many long-lasting benefits. Not only will your home be more energy efficient, but proper insulation by one of the top insulation companies can also help reduce strain on your HVAC system. This can lead to ongoing savings in your energy bills, as it costs less to heat your home in the winter and cool it in the summer. In addition, insulation provides a barrier to noise pollution, contributing to a quieter home environment. If you’re searching for insulation companies in Tuscaloosa, AL, contact 31-W Insulation today for more information or to schedule your free consultation.